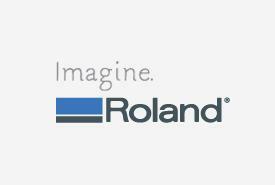 Roland DG is the leading supplier of solutions to the Graphics Arts,Design and Technology industries. Roland DG’s products are manufactured using industry leading techniques and standards; whilst minimising environmental impact. The Roland DG Care programme encompasses a complete range of premium services which creates peace of mind for the customer to allow their imagination to soar.